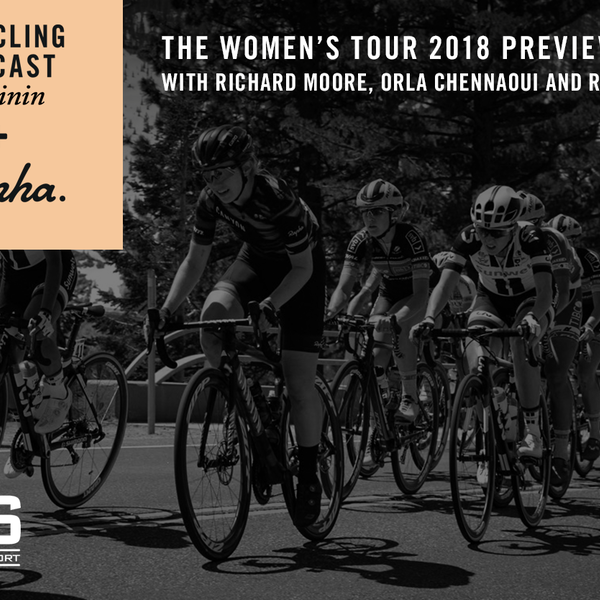 The Cycling Podcast Féminin previews the OVO Energy Women's Tour, with Richard Moore, Orla Chennaoui and Rose Manley looking ahead to the riders, teams and stages that could animate the 2018 race, as well as the places they will visit over the five days. In this episode there's an interview with the defending champion, Kasia Niewiadoma, who returns with her new team, Canyon-SRAM. Theirs is one of the strongest squads, with the Barnes sisters, Alice and Hannah, lining up together at the Women’s Tour for the first time. We also hear from the race director Mick Bennett, who explains the planning that goes into devising the route, and tells us which stages he thinks might be decisive. The Cycling Podcast Féminin will be covering the OVO Energy Women's Tour in full, with the preview show followed by five nightly episodes from Wednesday to Sunday when the race finishes in North Wales.